Your Next Favourite Chill Spot? 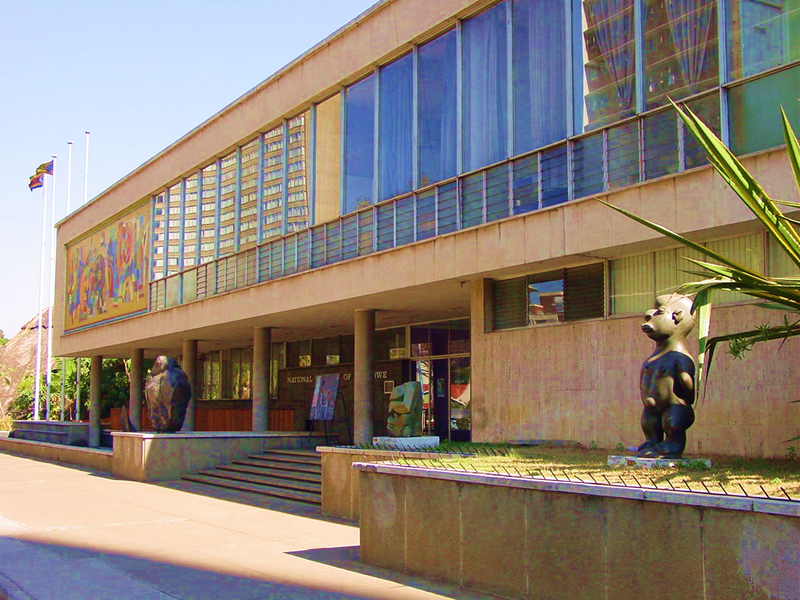 If you haven’t yet visited, the national art gallery in Harare is a surprisingly cool hang out. The space is big and adorned with enough beautiful paintings and sculptors to reinforce your faith in Zimbabwe’s arts industries. There is a small but affordable café in the venue and if you are lucky you are bound to run into a few renowned creative who may be willing to engage you in a bit of good, intellectual chit chat considering that the gallery receives over a thousand visitors a month. Drop by for the art and to learn a thing or two about the upcoming artists who attend the National Art Gallery School of Visual Art and Design who occasionally exhibit there. This month, AfroFresco will be holding its first multimedia exhibition in Harare. By projecting art onto a wall in a crowded public place, we hope to give strangers an artful eyeful! It’s officially on! Look out for our posts on our journey leading up to the date. We’ll see you there! Thank you for dropping by, your support is much appreciated!